1870 – Anthony A. Hawes offered his resignation as a member of the School Committee for Federal Point Township, which was accepted, and R. B. Freeman was appointed in his place. WILM.STAR. 12-7-1870. April 21, 1877 – Charles M. Epps was the teacher in the public school for colored children in Federal Point Township. His records showed that he had 34 “scholars of African race,” 24 boys and 10 girls. The average attendance was 24. There was only one teacher. January, 1878 – The Board of Education of New Hanover County ordered that an apportionment of two dollars be made from the school fund per capita to the public schools of the various districts. The apportionment for Federal Point-District No. 3 – 82 white children; amount $164; 84 colored children; amount, $168. WILM.STAR 1-16-1878. 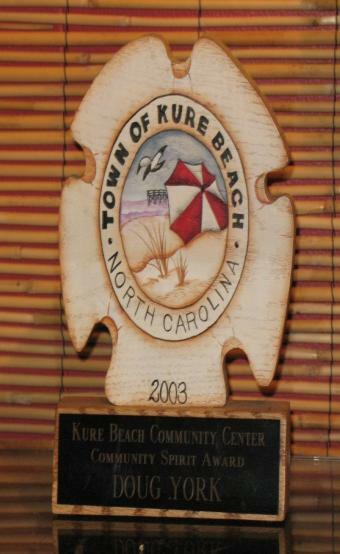 Community meetings in ’46 led to Kure Beach incorporation in ’47. Commissioners met in Town Hall, a room in the back of the realty office and Bud ‘n Joes on K Avenue. When the town first formed in 1947, Lawrence Kure was the mayor. Local policemen had no space in Town Hall – just wherever he was at home or in his car. When Police Chief John W. Glover wasn’t on duty, Andy was First Deputy. Andy arrested drunks and speeders doing 50 to 60 past the stoplight which was put up in the 50’s. The business people got together to get a good water works system because when a fire started, buildings burned to the ground. Fire service was a 500 or 1000 gallon tank in a big tin shed. The Water Tower where the Community Center is now came later. The town bought a fire hose. The fire truck was an old beat-up Chevy with a water tank on it. They also had an American LaFrance chain drive, a monster to drive. Both were used for a while. Andy was a volunteer fire department truck driver. Kure Beach floated bonds. The present day sewer system was put in in the 50s. Soon that will have to be replaced. Terracotta sewer pipes don’t last very long. Now plastic type sleeves are put inside the pipe; in 15 to 20 years the same kinds of problems are expected because every break where it’s been repaired is with sleeving. Originally in the 40s, the drainage ditches to the beach and the oceans with storm water run-off was not much because we didn’t have that many people. But the oil and drippings of automobiles and everything else has polluted the runoff. Engineers came from the State to pioneer the system which is working. Everyone is looking to Kure Beach. Andy decided to be a lawyer in junior high school. He skipped school to go to the courthouse and listen to cases with very eloquent, old stump lawyers who cussed you out in four sentences. It took two days to figure out what they said. Andy law clerked for General R.S. McLelland, the first Kure Beach town attorney. 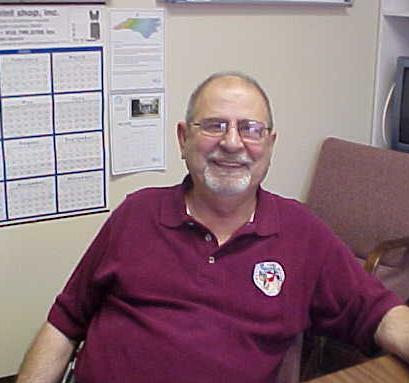 Andy started in late 1963 as town attorney so he has been working with Kure Beach in one job or another for over 55 years. He was the Carolina Beach attorney for 12 1⁄2 years. Andy was in General Practice (criminal, contract, domestic) in Wilmington from October 1963 until June 2005. The town attorney serves at the pleasure of Council. In the earlier years, the attorney was mainly to assure that they didn’t go beyond the bounds of law or violate any of the provisions of the State statutes. As time went on, people started attending meetings and became litigious and the laws became voluminous resulting in a nightmare to keep up with new cases and new regulations. Kure Beach is no different than any other small town in North Carolina. Everyone has a different political view. To have a Board in total harmony is a rarity. Different opinions make for good decisions. 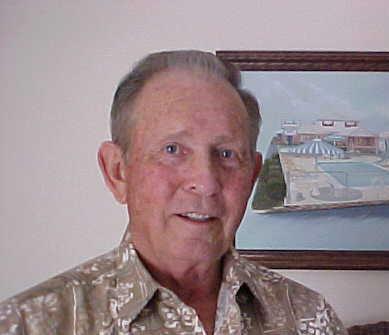 Ed Neidens, mayor of Kure Beach in 1990-1991, said the town stationery had been a fish jumping out of the water. Suzanne Jones probably did the art work around 1988. Before that, there wasn’t anything marking Kure Beach. The Town Seal went through various test changes. The image from a postage stamp was redesigned by Ed Niedens and his 30 year old son. The first concept added a couple in silhouette walking on the beach. The final picture was a beach scene with an umbrella and some grass on the sand and the Kure Beach pier. The seal was officially adopted by the town council in 1991 when Jack Foster was mayor.